Visit Us at our NEW LOCATION ! Is your cat a member of your family? Your Cats deserve compassionate veterinary care. Call today. Pet Emergency? Call us right away at (719) 575-0007! Welcome to CatTails Feline Health Center. Dr. Laurie Clauss is a licensed veterinarian in Colorado Springs who specializes in the treatment of cats. Dr. Clauss recognizes that your feline friend's health and wellbeing are of the utmost importance to you. With this in mind, Dr. Clauss provides exceptional veterinary medical and compassionate feline care. 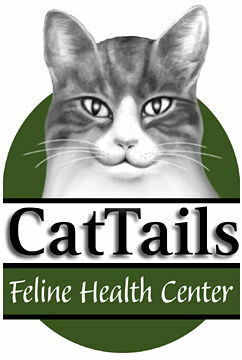 CatTails Feline Health Center is a full-service feline companion veterinary practice that offers routine medical, dental and surgical care as well as emergency treatments. With years of experience providing general wellness care and treating serious conditions, our veterinarian’s first-rate feline care goes above and beyond: Dr. Clauss, our trained technicians and friendly staff are available most days of the week. They can also provide you with nutritional and illness-prevention tips that enable you to better care for your cat and ensure his or her optimal health. If you have any questions or would like to set up an appointment, call (719) 575-0007.At CatTails Feline Health Center, we treat your cat like the valued family members they are. "My wife and I love CatTails! We have been going there for about 2 years now. Dr. Guillory has been our DVM and we couldn't be happier. She is everything you want in a Vet, knowledgeable, confident, and just a nice person. Prices are great considering the care you receive and their clinic (although small), is top of the line. 100% Recommended." "Nothing but positivity here. The best care for my fur babies. The docs, tech's and reception are all so kind and warm. Wouldn't take my cats anywhere else." "CatTails is absolutely amazing! My poor kitty had some dental problems but they gave her the absolute best care. They were always very communicative and treated my cat as if she were their own. Everybody was just so nice and helpful. Dr. Guillory was wonderful. Will definitely come back for all our kitties needs." "I just had to make a tough decision for my old lady (17), and Cat Tails made it a little bit easier. Everyone seemed very caring and professional. The place feels warm and inviting. I will be taking my cat there for his needs in the future!"